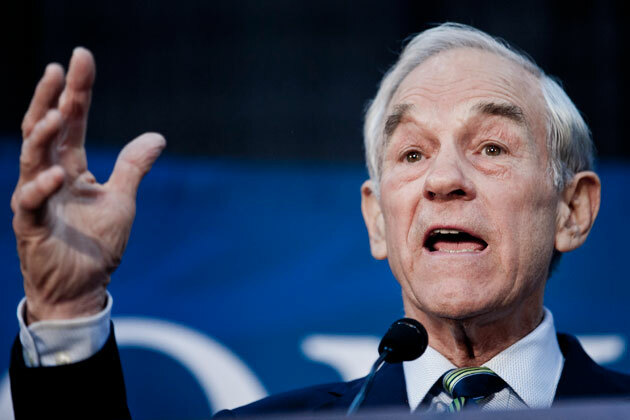 Washington, DC – Sources confirmed earlier this week that US Representative Ron Paul has been feeling very optimistic about the upcoming elections in 2016, not because of the recent shift in political climate espousing more conservative values, but because of the impending judgment day by the great overlord Zorcon, whom the congressman believes to reside on Mars. “That’s right,” Paul said, humming to himself, “he lives on Mars, he’s our one true savior, and he’s going to fix this broken American political system in 2016. That is a platform I can get behind, and I urge my fellow Americans to do the same.” While Paul concedes that some of the recent political directions taken by the GOP are promising, it will ultimately be the coming of Zorcon, in a flash of brilliant near-ecclesiastical light that will be the push that the GOP really needs to secure a presidential victory. Zorcon himself was unable to be reached for comment, as he was purportedly too busy brandishing his heavenly might in a cosmic and politically conservative fashion.